We want to take care of your business’s accounting. Our company, a member of the Order of Chartered Accountants, can assist you from the incorporation of your company, throughout its life, until the transfer / transfer. Present at two sites, in LUXEMBOURG and ESCH-SUR-ALZETTE, our multilingual employees are able to offer you the traditional range of accounting and tax expertise services as well as trust services specific to the Luxembourg financial centre. 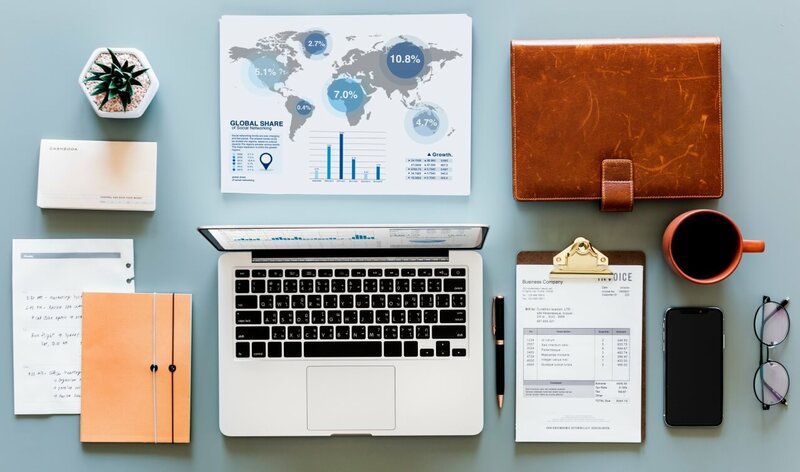 The wide range of accounting and tax expertise services includes accounting and annual accounts preparation, tax advice, economic advice for companies in the start-up or restructuring phase, management control and the implementation of internal control procedures. Without wishing to be exhaustive at this stage, fiduciary services include services for the incorporation of commercial or financial companies, domiciliation, the study and implementation of investment vehicles for tax optimisation in the context of a national or international investment and finally Private Equity. This is our core competence, to draw up balance sheets and profit and loss accounts in compliance with the laws and regulations in force, to control and adjust the accounts if necessary, to set up and validate internal control procedures. Good business management is a major asset for any company that takes it seriously. While keeping the accounts is for some people a purely legal and tax constraint, it is nevertheless a source of information that can be used to assess your company's current and future financial situation. We can assist you in the preparation of your provisional budgets as well as in the definition of management dashboards. Our experience and IT tools applied to management cover a large part of the needs of small and medium-sized companies in Luxembourg. The transfer/cessation of a company constitutes for the entrepreneur concerned an act having both an economic and a human aspect. We take both into account. Humanely, knowing that the entrepreneur is in the process of giving up the fruit of a lifetime's work and that he wants the company to be sustainable even after the transfer. Economically, the transmission value must reflect the fair value. This is why we assist you in the preparation of a valuation file for your company. This involves analyzing the company as a whole to identify strengths and weaknesses and make the necessary corrections to reduce or eliminate weaknesses and build on them. Taxation can have a significant impact on your strategic investment choices. We can advise you in order to optimize your personal tax situation or that of your company. Moreover, there is nothing more regrettable than having to bear a tax burden that could have been avoided, that would have been misjudged or that would have been a definite tax burden but of which you were unaware. preparation of the various tax returns for tax subsidies (for investment, hiring of unemployed people, etc.). The idea is simple: manage staff while respecting the laws governing labour and social law. Relationship with the Labour and Mines Inspectorate. In short, we relieve you of this tedious administrative work so that you can concentrate fully on expanding your company. The incorporation of a company (commercial or financial) is an essential act to start an activity. The articles of association that will be adopted when your company is incorporated will govern the life of your company and determine the decision-making power at the level of the board of directors/managers and at the level of general meetings. It is therefore important to draft the statutes carefully in order to avoid blocking situations. to act the constitution before a notary public. We can undertake all these administrative steps on your behalf within a reasonable time frame in order to get off to a good start. Financial and asset engineering is an integral part of the life cycle of any company. The choice of structure and its financing must be thought out and thought through to achieve the objective set. Engineering is aimed at institutions as well as family and multinational companies wishing to structure or restructure their assets, whether in the expansion or consolidation, sale or succession phase. Whether through our expertise or in collaboration with our appropriate partners, we will be able to offer you the most optimal solution from a legal and tax point of view according to your needs. If necessary and in order to guarantee the best service, we can be associated throughout the entire life cycle of a company of specialized advisors, whether in commercial law, tax law or accounting law. Taxation is a fundamental aspect of the life of a society involving administrative tasks that cannot be avoided. preparation of the various tax returns for tax subsidies (for investment, hiring of unemployed people, etc...). A corporate structure implies the need to keep regular accounts. Our role is not simply to keep regular accounts, draw up the balance sheet and the profit and loss account, we check the financial flows and their adequacy with the strategic operations decided. On a monthly, quarterly or semi-annual basis, we can provide financial information on past transactions in order to guarantee absolute transparency to investors and shareholders. In addition, if the corporate form so requires, we can provide an auditor to verify that the accounts are properly kept. You need to focus on your business and do not want to be confronted with the administrative work of your company. In addition, the complexity and multiplication of structures requires you to appoint experienced professionals to act as directors. We can do it for you. We provide the directors with the necessary skills to take care of the day-to-day management of your company. If necessary, we can even put you in touch with other professionals in the financial sector. The role of the directors is to ensure the day-to-day management of your company. In this sense, we take care of the management of incoming or outgoing mail, the management of bank accounts, the keeping of accounts, the filing of accounts, powers of attorney and other formalities. In short, all the administrative work that is the responsibility of the company. From the legal point of view, we are responsible for drawing up the minutes of the boards of directors, holding ordinary or extraordinary general meetings and keeping the register of shareholders. A domiciliation is defined as the service activity which consists for a customer in using the domiciliary's registered office as the registered office of his company or companies.